Posted on the March 1, 2016. You’ve probably noticed by now that I am absolutely obsessed with essential oils!! I use them at home for my family and have an amazing opportunity to share these with others and live a life of wellness + abundance.. I choose to both personally use and work with doTERRA essential oils. These oils are CPTG (Certified Pure Therapeutic Grade) and are the most purest, highest quality essential oils on the planet! You can read for about the quality and testing over here. Adding high quality essential oils into your life can dramatically improve your overall health & wellbeing and is safe for everyone! Even small children! Because these oils are so pure I strongly recommended diffusing them rather than using an oil burner. So here are the top 10 and their amazing benefits!! 1. Use a drop of Peppermint with Lemon in water for a healthy, refreshing mouth rinse. 2. Take one to two drops in a Veggie Capsule to alleviate occasional stomach upset. 3. Add two to three drops to your favorite smoothie or healthy raw treats for a refreshing twist. Mmm Choc Mint!!.. 5. Place a drop on the roof of your mouth to clear sinuses and alleviate seasonal allergies. Alternatively you could diffuse three to four drops along with lavender and lemon essential oils, nature’s anti-histamine. 6. Cool down with Peppermint!! Out in the sun or just feeling HOT? Make your own spritzer with water and a few drops of peppermint. 7. Make your own moisturising and nourishing foot lotion with peppermint & tea tree essential oils! Click here for recipe. 8. While you’re at it, why not make your own tox-free toothpaste?! Use equal parts of bicarb soda and Organic Virgin Coconut Oil, add ten drops of peppermint, stir and store in a glass jar. Easy-peasy and no nasty chemicals!! 9. Move over breath mints! .. Get super fresh breath with peppermint essential oil, just place one drop in your mouth and feel alive!! 10. Ease tention and tight muscles with a two to three drops of peppermint and lavender. 1. Pop a couple of drops on your pillow for a restful nights sleep. Another great way to rest easy of a night is to pop a few drops onto the soles of your feet! 2. Unwind after a long day, add a cup of Epsom salts to the bath with a few drops of Lavender. 3. Add lavender to some extra virgin coconut oil and make your own nappy balm.. No need for the good ol’ talc, not to mention it’s carcinogenic! Remember for babies and small children ALWAYS dilute, 1 drop of essential oil : 2 teaspoons carrier oil. 5. 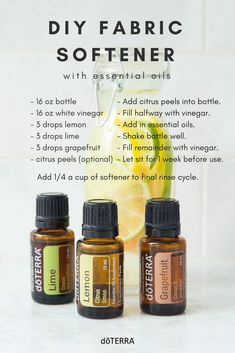 Soothe skin irritations and bites with a few drops. 6. After shaving. Rub in two to three drops to the area as desired, you may like to use some coconut oil to help soothe this also. 7. Soothe sore skin after too much sun. 8. One drop of Lavender will help relieve the pain and sensitivity of occasional sore gums, dry or chapped lips, occasional scrapes and abrasions. 9. Take internally to reduce anxious feelings. Place a drop under the tongue or a drop or two in an empty veggie capsule. 10. Use in cooking to soften citrus flavours and add a flavourful twist to marinades, baked goods & desserts. 1. Use topically to beautify skin and minimize appearance of skin imperfections. 2. Rub into tense and achy areas as desired. 3. Take one to two drops internally in an empty veggie capsule to support a healthy immune system. Or place a drop underfur tongue, add it into your smoothie or raw treats! 4. Soothe skin irritations and occasional scrapes and abrasions with a few drops. 5. Diffuse to nourish the blood and the brain. 6. Place a drop on the roof of your mouth when meditating or doing yoga to help connect you and find a sense of calm. 7. Stress less and release tension, diffuse/apply to back of neck with lavender and peppermint. 8. Wear as a perfume to feel uplifted and increase alertness during the day. 9. Apply a drop to weak fingernails/toenails to help strengthen them. 10. Soak in a warm Frankincense bath to calm the nerves or diffuse Frankincense in the bathroom while you relax in the tub. 1. Use to soothe occasional scrapes & abrasions. Tea tree contains anti-bacterial properties, so say goodbye to chemical laden first aid creams! Lavender and Frankincense essential oils work great also. 2. Freshen and purify your laundry by adding in a couple of drops to your washing. 3. Breakouts be gone! Apply a drop or two to the affected area after cleansing and leave over night. Lavender works well also. 4. Add a few drops to a spray bottle with water and use on surfaces to protect against environmental threats. 5. Apply to fingernails and toenails after showering to purify and keeps nails looking healthy. 6. Combine one to two drops with your facial cleanser for added cleansing properties, or apply to skin after shaving… I love to add a couple of drops to some extra virgin coconut oil and apply to my face before jumping in the shower, allowing the steam to open the pores and better cleanse. 7. Add one to two drops to water, citrus drinks, or veggie caps to support healthy immune system function. 8. Soothe a sore throat, add one to two drops along with Lemon & On Guard essential oils to help calm discomfort… It really works!! 9. For occasional skin irritations, apply one to two drops of Melaleuca essential oil onto affected area. 10. Diffuse three to four drops to purify and freshen the air. 1. Support a healthy immune system by taking a drop internally daily (in a glass of water or in a veggie capsule). Apply to the soles of your feet (heavily diluted with some coconut oil as oregano can be quite hot!!) You can also add along with this some On Guard Essential Oil to the soles of your feet for daily support. Alternatively you can diffuse in the air during the day. 3. Put one drop in place of dried oregano in spaghetti sauce, pizza sauce, or on a roast etc… Seriously tastes amazing- one drop is all you’ll need, don’t get too excited!! 4. 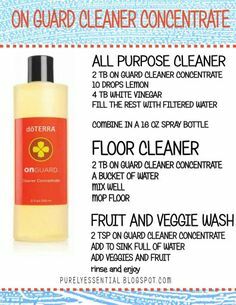 Clean surfaces with Oregano! Add a three to drops into a spray bottle along with water. 5. One of those people that is always prone to getting cold hands and feet in Winter? Try applying just one drop mixed in with a fair amount of coconut oil and rub in your palms or into the soles of your feet to help warm the body. 6. Fight off unfriendly foes in your guts by taking one to two drops oregano internally in a veggie capsule, supporting digestion and immunity. 7. Apply one drop to 2ml coconut oil for adults and apply to skin imperfections…Oregano is potent, so please use sparingly!! 8. Apply to warts, surround the area with Fractionated Coconut Oil and apply a drop of Oregano Oil every day for at least a week. 9. Do you get ‘germaphobia’ when having to use public toilets, perhaps at local pools and beaches? Follow up by applying one drop of Oregano and Thyme Essential Oils, diluted with Fractionated Coconut Oil. 10. Oregano is one of the amazing and potent oils in the On Guard Plus Softgels, take when you need extra immune support. 1. Soothe an irritated throat by adding one to two drops to a glass of water and gargling. 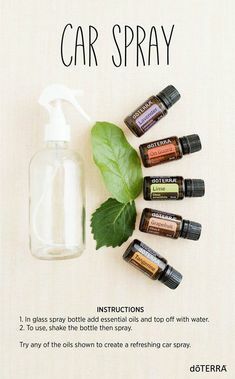 I love to add to this a couple drops Tea Tree and On Guard Essential Oils also. You could also make a lovely warm Lemon EO, Apple Cider Vinegar & Raw Honey drink to help soothe. 2. Get rid of bad kitchen odours or pet smells by diffusing three to four drops. 3. Add a couple drops of Lemon essential oil to your dishwater or to the rinse section of your dishwasher. Lemon is amazing at cutting through grease and grime and will live your glassware sparkling. 4. Make your own all-purpose spray. In a glass bottle with a spray trigger add a quarter cup of Vinegar and 30 drops of your choice of essential oils, any Citrus oil like Lemon will make a great cleaner, you could also add Tea Tree, Oregano or the On Guard blend or cleaning concentrate, shake, spray and wipe. Clove oil is a great mould killer! One for the bathroom. 5. Like all citrus oils, Lemon is also great for uplifting emotions and promoting a positive mood as well as enhancing concentration. 6. Remove sticky labels with lemon essential oil! Simply add a few drops of the oil to the label, wait a minute or so and it will peel right off. Eucalyptus is another great one for this too! 7. Flavour boost, our oils are beyond food grade you could add a drop of Lemon essential oil anytime you are cooking with lemon juice (Salmon on the BBQ, Lemon meringue pie, Hummus, Avo Smash, Lemon zest etc) to give it a deeper, more rich flavour. You could also add a drop or two to tea or a smoothie. Lemon naturally cleanses the body and aids in digestion. I drink Lemon in my water all day long!! 8. Diffuse two drops lemon, lavender & peppermint to promote a health respiratory function and assist with seasonal allergies. Alternatively rub in palms, close your eyes and inhale, run in behind ears and neck, also over the chest is lovely. 9. Take internally to assist with seasonal respiratory discomfort, either a drop under the tongue, drink in your water or add a drop or two into a veggie capsule. 1. Dilute a few drops and rub into muscles before and after exercise to reduce discomfort. This blend also comes in a convenient soothing muscle rub cream which you can just leave in your gym bag. 2. Massage a couple of drops with a tsp carrier oil onto growing kids’ legs before bedtime. 3. Rub on lower back muscles after a day of heavy lifting at work or during a move. 4. Sore neck? Too long sitting at the computer? Rub a couple of drops diluted onto shoulders and neck to help relieve tension. 5. When the kids come home with a few bumps from their sports activities, apply a drop or two diluted to effected areas to help support localized blood flow. 6. Apply to bumps and bruises to promote normal inflammatory response in cells, and assist with healing. 7. Occasionally, muscles will cramp if they have been worked hard or are lacking the vitamins they need. For these muscle cramps, try massaging two to three drops diluted into the area. 8. Give your partner a lovely foot massage at the end of a long day to help wind down and release tension. 9. This blend provides a cooling and warming sensation that cools joints yet warms muscles and soothes occasional joint or bone pain. Keep your runner’s knee in tip top condition with Ice Blue. Application after a long run will help soothe the joint and promote strong, healthy muscles. 10. This Soothing Blend contains blue tansy and Helichrysum which when used regularly, can help promote long term muscle, joint and bone health. It can also help promote and maintain normal inflammatory response in cells. Try taking doTERRA’s Deep Blue Polyphenol Complex Capsules for daily relief. 2. Use when outdoors to minimize the effects of seasonal threats. Apply a few drops over your chest and the back of your neck, rub in palms, close your eyes and breathe in deeply. 3. Diffuse at bedtime to assist easy breathing for a restful night’s sleep… I also like to add a drop or two of Oregano Essential Oil. 4. Make a chest, foot and back rub to support the respiratory system. Use between one to five drops of the blend to 10ml carrier oil depending on age. Keep in a roller bottle for easy application. 5. Add a drop to a bowl or basin of hot water with a towel over your head and breathe in deeply. Wintergreen Essential Oil also makes a lovely addition to this (just add one drop). 6. Feeling panicky and overwhelmed? Can’t breath? Close your eyes and one nostril and breathe in this blend of oils deeply, unblock and breathe out. Block the alliterate nostril and breathe in the other, let go and breathe out. Best thing to bring you back to the present moment- I just love it, always in my handbag! 8. Don’t have a diffuser yet? Skeptical about applying oils to your skin still?? Try putting a drop either side of your pillow for a night of clear breathing. 9. Make a tiny room less ‘claustrophobic’, create more space, light & air by diffusing this amazing blend. 1. Take a drop internally before meals to assist with digestion, either in a glass of water or a veggie capsule. 2. Take a drop or two internally to soothe digestive discomfort after meals. Alternatively or as well as this you could also give yourself or the child (diluting approximately) a gentle tummy rub with a couple of drops in a clockwise motion or diffuse after meals. 3. Get motion sickness? Whip out your DigestZen applying a drop to each wrist and also in your palms, rub together and inhale deeply. 4. Digestzen is great for calming an upset stomach but it’s also great for reliving head tension and sinus pressure! Dilute and apply to temples and bridge of nose. 5. Use daily to maintain healthy bowel movements. For regular digestive discomfort I strongly recommend taking internally by making up your own capsule, in water or try doTERRA’s DigestZen gel caps or chewable tablets for convenience. 6. Take DigestZen with you when traveling or trying new foods to soothe occasional stomach upset. 7. Have DigestZen on hand when enjoying heavy holiday meals to promote digestion. 8. Butterflies in your tummy got you feeling queasy? Soothe those tense feelings by applying some DigestZen over your tummy or inhaling in your palms. 9. Take internally either in water or a veggie capsule at the first signs of heartburn or indigestion. 10. Put four to five drops to 10ml carrier oil in a roller bottle, and have on you anywhere you go for easy application when discomfort occurs. 1. Add two to three drops in a veggie capsule for a quick immune boost. 2. Take two to three drops in a veggie capsule or in water before, during and after a plane trip to support your Immune System and ward off Environmental threats! 3. Fantastic blend for dental health (it contains Clove after all!) Try swishing with a bit of water after dental work. You can also apply directly to your teeth and gums with some Coconut Oil (or add a drop to your toothpaste) to soothe irritated gums. For a clean toothbrush, store it overnight in a small glass of water with 3-5 drops. You could also try oil pulling with a tablespoon of Virgin Coconut oil and a drop or two of this blend… Try doTERRA’s On Guard toothpaste! It’s seriously amazing!! 4. Add to two to three drops to your favourite smoothie or raw treats for a warm & spicy twist that has immune boosting properties!! Also makes a lovely ‘chai’ like tea, just add one to two drops to mug of warm water or preferred milk. 5. Add to water for an effective all-purpose surface cleaner. 6. Make your own SAFE Hand Sanitiser without carcinogenic Triclosan. Mix 5 Tablespoons aloe vera gel, 4 Tablespoons water, 1/4 teaspoon Vitamin E oil and 8-10 drops Protective Blend in a small squeeze bottle. 7. Clean your bath tub!! Mix 5-6 drops with a half cup of baking soda to clean your bath tub and skip all of the harsh, bleaching chemicals. 8. Diffusing can work miracles, but you can also put a few drops on your car or home’s air conditioning vents to obliterate dank, stale filtered air…right from the duct! 9. Clean your Oven! Caked on black oven gunk does not easily come off. Make a mix of bicarb, water, On Guard and Lemon Essential Oil and apply, then scrub off. All done and no nasty chemicals! 10. Add 15 drops to a cup of corn starch or baking soda. Mix, sprinkle and rake on carpet then allow it to sit for up to an hour. Then, vacuum it clean! So there you have it! 100 Uses for our 10 staple essential oils, that I believe every household should have. 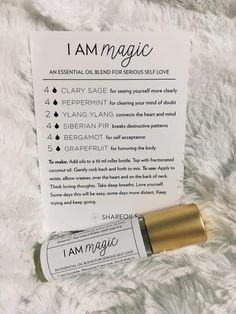 Trust me when I say you will use every one of these oils at least once or more times a week, and eventually this becomes an unconscious routine- just like taking your supergreens powder or having your daily apple cider vinegar! When I teach my essential oil classes, it is so important for me to educate people to look at these high quality essential oils as daily superfoods, rather than medicine that we take reactively. Use these precious gifts daily for yourself and your family as a protective health measure, skin and hair support, spiritual guide, wonderful taste enhancer and all natural perfume! CLICK HERE for more information on getting your own wholesale account and purchasing one of our great essential oil starter kits today! I look forward to hearing from you and welcoming you to an abundant life of health + happiness.